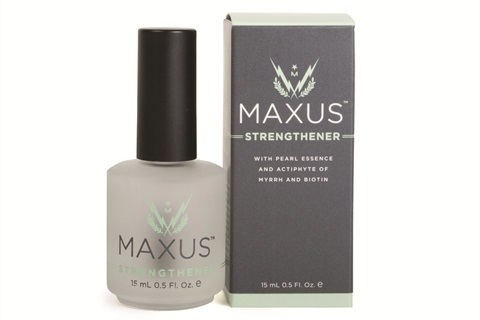 Created by nail tech Dasha Minina, Maxus Nails is a brand new line of boutique nail care. The Strengthener creates chemical bonds that link protein chains together to make nails harder and stronger. For more information, visit Maxus Nails.